Tracker® is a broad spectrum fungicide for use in winter wheat, spring wheat, winter barley, spring barley, oats, rye and triticale. Higher yields – An extra 0.55 t/ha over Vertisan + Cortez worth £103/ha in two trials in 2015. 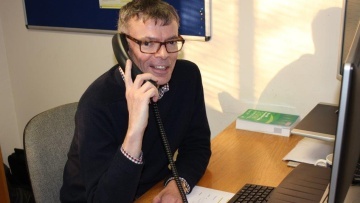 Compatibility with chlorothalonil boosts Septoria control and resistance management. Improved lodging resistance by one point through increases in straw strength. Improved drought tolerance protects yield in stress conditions. Tracker® delivers strong performance against second wheats prone to eyespot, it is also the most profitable option at T1 for Septoria and rust prone varieties in typical disease situations. This long established fungicide is a suspension concentrate formulation combining the best eyespot SDHI boscalid with the best rust and Septoria triazole Epoxiconazole. As well as proven performance in disease control, Tracker® can increase cell wall width and strengthen internodes, improving straw strength and reducing lodging and brackling. Lodging in all cereals and brackling in barley not only reduces yield and quality but increases harvesting costs and damages grain quality. Trials on wheat plants have shown a 4-6% yield increase in drought conditions with Tracker®. By reducing the stress hormone ethylene, crops can better withstand and recover from drought. When eyespot is severe Adexar® is second only to Tracker which is still the best. Tracker® is not only the best option doe 2nd wheats prone to eyespot, but for most situations it is still the most profitable option at T1 for Septoria and rust prone varieties. 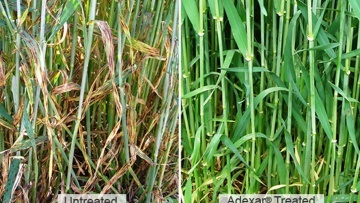 – it still pays to use Tracker® in Septoria and rust situations, unless switching to Adexar®. 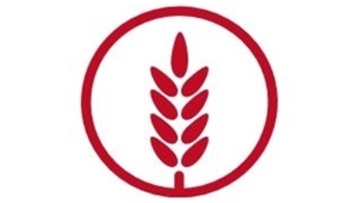 Be part of the Real Results Circle to learn more about how Tracker® can deliver greater yield for your crops. Adexar® is a highly effective fungicide based on the innovative active ingredient Xemium®. The product provides excellent disease control in numerous crops and contributes decisively to securing yield and quality.